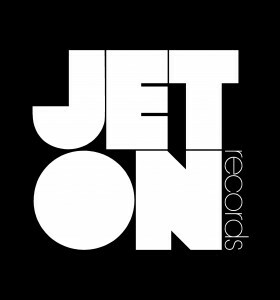 The one hundred and thirteen release of Jeton Records, originally based in Istanbul, owned and managed by Turkish Techno Player Ferhat Albayrak, welcomes Ferhat Albayrak & Riza Gobelez with Lenon EP. Jeton’s Young and talented regular Riza Gobelez and label head Ferhat Albayrak’s first collaboration is a result of intensive studio works of the artists side by side. Both tracks have been road-tested heavily and the feedback of the crowd is massive. First Track Lenon is a powerful machine, reflects the raw and distilled side of modern Techno, as well as the perfect traffic of the club traxx. Impressive vocal at the drop is the trademark of the track and razor sharp elements destroy the dance-floor. Second Track Irregular Galaxy is an unique work, very focused on sound design rather than elements, a atmos pad is the hook of the track and huge breaks totally kill the audience when a massive basic kick/bass slams. A very different journey among other tracks. 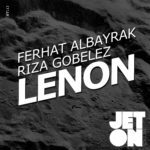 Ferhat Albayrak & Riza Gobelez Lenon EP will take you to the other fields. Enjoy! About 130 – “Lenon” Nice acidic track! COMMA Group – thanks for sharing! Dean Facer – Wow….. yet another two superbly crafted tracks from Ferhat ! Eme Kulhnek – dope !! Ilario Alicante – Downloading for Ilario Alicante, thanks for the music! Joseph Capriati (Drumcode) – downloading for joseph capriati, thanks ! Oliver Lieb – both for me!